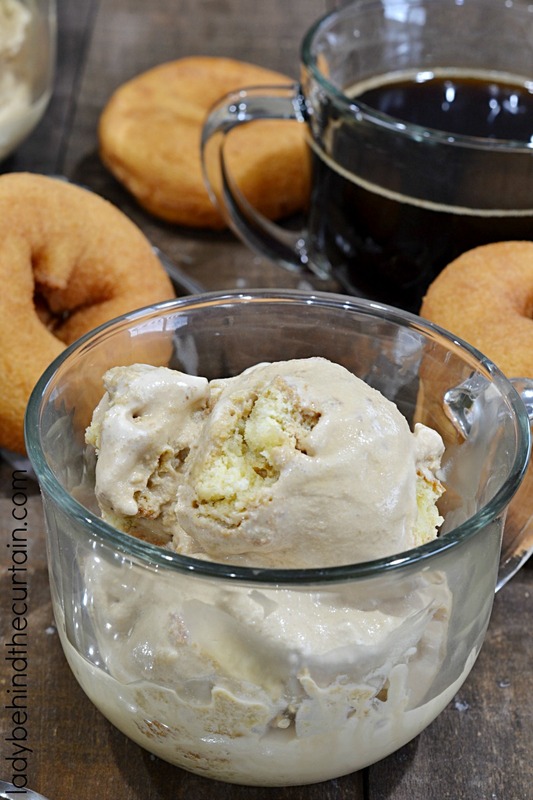 Easy No Cook Coffee and Donuts Ice Cream Recipe | Creamy coffee ice cream with chunks of donuts swirled together. 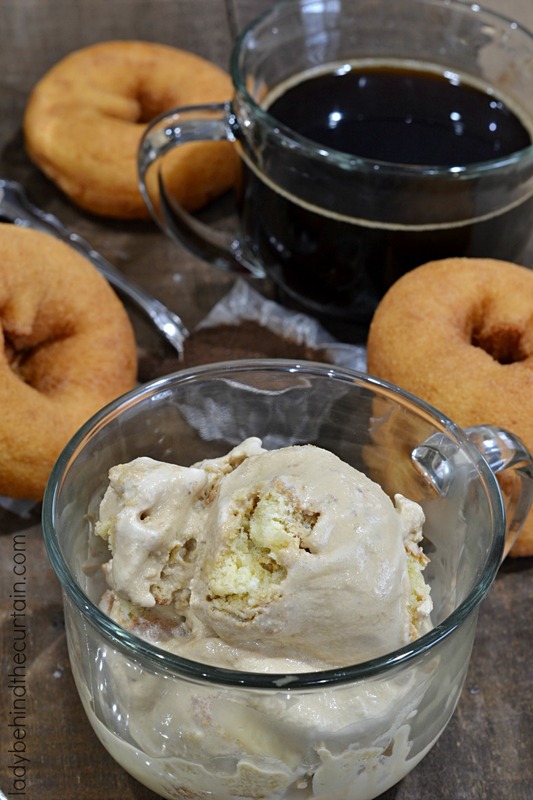 Coffee and donuts really are soul mates…. normally a simple breakfast but now an outstanding dessert! You’ve heard of breakfast for dinner but have you heard of breakfast for dessert? Make a batch and take it to work. The perfect afternoon break treat! Store bought donuts never tasted so good. I love throwing dinner parties but I get tired of serving the same old thing. Which pie or cake to make…..This time I served up something different and it was a huge hit! No one even knew I used store bought donuts. 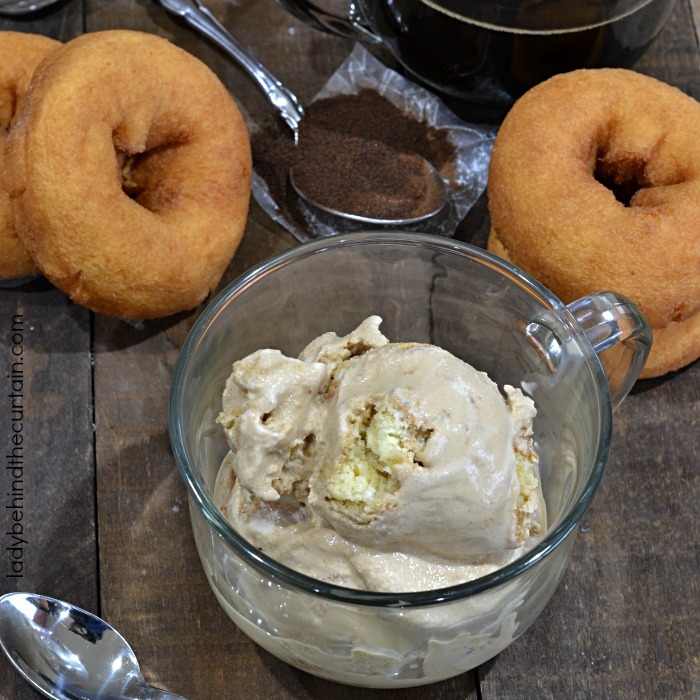 The last time I made this Easy No Book Coffee and Donuts Ice Cream Recipe I changed it up a bit for the adults. I added a few splashes of Baileys before churning. Don’t worry I made two batches. One for the kids and one adult version. In a medium mixing bowl, use a hand mixer and on low speed combine the milk and sugar until the sugar is dissolved. Stir in the heavy cream, vanilla and instant coffee. Turn the machine on; pour the mixture into the freezer bowl. Let mix until thickened, about 20 to 25 minutes. 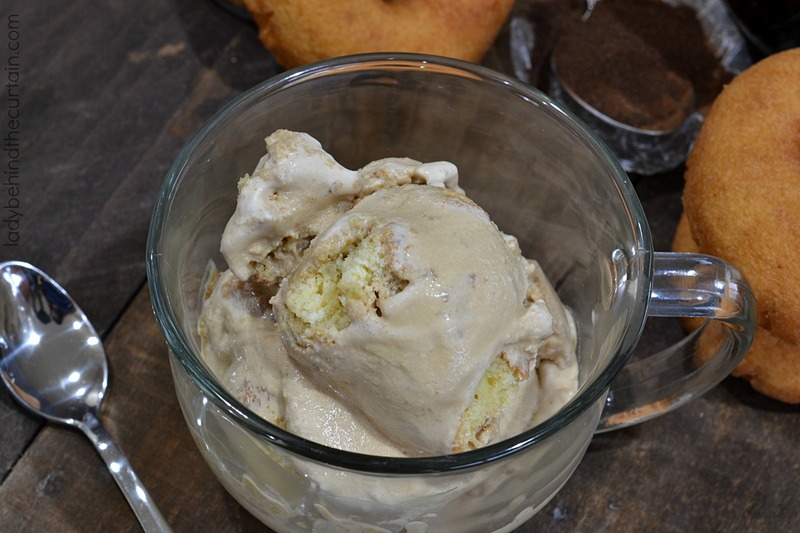 The ice cream will have a soft, creamy texture. If a firmer consistency is desired, let the machine go a little longer. 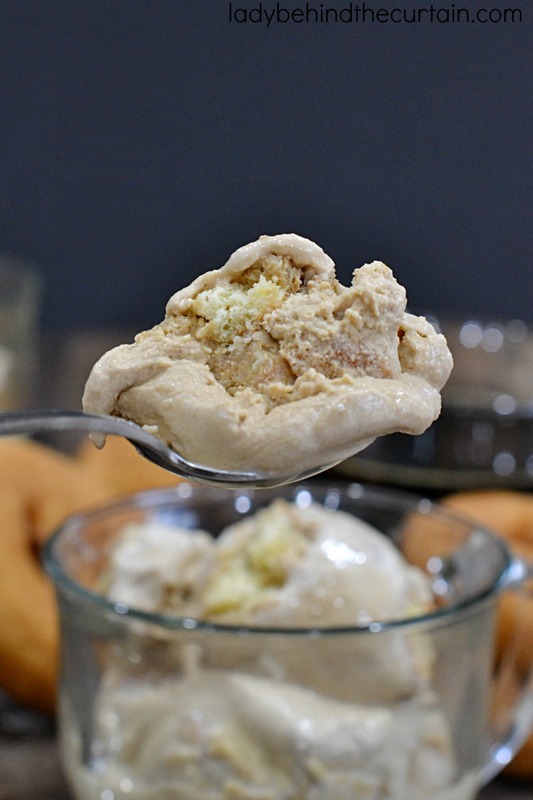 Transfer the ice cream to an airtight container, stir in donut pieces making sure to incorporate them all the way down to the bottom, cover and place in freezer or serve immediately.